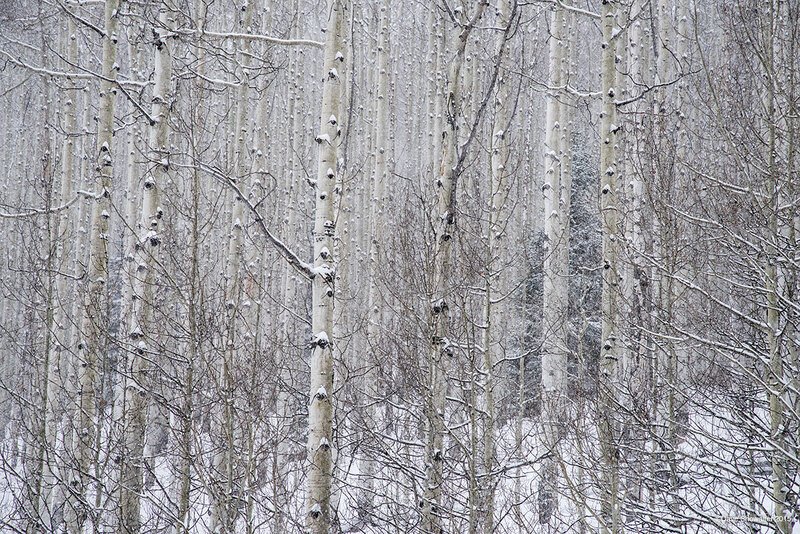 With a fresh winter coat, an aspen forest seems to have sketched itself with intricate, monochromatic shapes and strokes. A trail leads through the forest, eventually to American Lake, this view at the beginning of the trek. Photo © copyright by Dave Showalter.